Litan compared blockchain-based payment, clearing and settlement networks to 5G for the communications marketplace, saying the old financial systems are long past due for an upgrade. “We had really slow communications networks and we’re always upgrading those because of demand for video and entertainment. We never pay attention to the payment networks and we need to,” Litan said. But blockchain is changing that. An IBM spokesperson confirmed the company has had discussions with two major U.S. banks considering issuing a stable coin for use on the World Wire network. That would echo what JPMorgan did earlier this year when it launched its own fiat-backed token for its payment network. Bloomberg last week posted an interview with Jesse Lund, IBM’s vice president of blockchain, who said his company has had “initial discussions” with the two lenders on issuing a so-called stable coin. “We have received interest on the heels of JPM Coin,” said Lund, who declined to name the banks. IBM expects to see from 10% and 20% savings in operational liquidity management and potentially more than a 50% reduction in overall transaction cost, according to Stanley Yong, CTO of IBM Blockchain for Finance. Along with JPMorgan, IBM and its banking partners, Visa, Mastercard and New York-based global settlement service CLS bank have also deployed blockchain-based payment networks. CLS handles about $5 trillion a day in global settlements. In November, CLS and IBM announced that investment banking giants Goldman Sachs and Morgan Stanley were the first to use its CLSNet; six more participants from North America, Europe and Asia, including Bank of China (Hong Kong), have committed to joining in the next few months. Once banks are comfortable using blockchain-based foreign exchange (FX) networks such as IBM’s World Wire, and believe it’s efficient, reliable and secure, they will likely open up those payment services to business and consumer customers, Litan said. “Clearly, it could become the new payment backbone of the future,” Litan said. Blockchain DLT offers several advantages over conventional payment and settlement networks. Along with reducing friction and fees from central banks that oversee the transactions, the distributed ledgers are transparent to participants; everyone gets a real-time copy of the immutable ledger. And those ledgers can be used for audits. Along with financial services companies, companies such as Facebook are purportedly working on creating blockchain-based payment systems that would allow users to have a “PayPal-like” experience to purchase advertised products. The new cadre of blockchain-based payment networks is bound to compete with traditional networks, such as VisaNet and SWIFT, as well as with earlier blockchain-based FX and settlement networks such as Ripple. 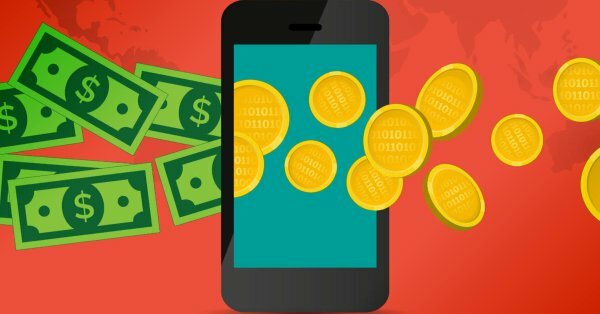 SWIFT, which stands for the Society for Worldwide Interbank Financial Telecommunication, is behind most cross-border money and security transfers, serving 10,000 member institutions who send about 24 million messages daily over the network. In what may be an attempt to thwart an end run around it, SWIFT said earlier this month it will jointly conduct a blockchain proof-of-concept in the Asia Pacific region with securities software provider SLIB and the Singapore Exchange (SGX), along with Deutsche Bank, DBS Bank, HSBC Holdings and Standard Chartered Bank. Ethan Silver, a partner at Lowenstein Sandler LLP who leads the firm’s regulatory practice relating to blockchain technology and digital assets, said existing regulations will have to be interpreted appropriately to address DLT payment networks, but they probably won’t “perfectly” address the technology in their current state. Along with the future of international regulatory oversight, blockchain networks have to prove they can scaleup enough in performance to match traditional networks such as VisaNet. Seven major universities are already working together to develop a digital currency network that solves blockchain’s scalability problems, as are industry groups such as the Ethereum Foundation. he Distributed Technology Research Foundation (DTR) Foundation, the Swiss organization behind the new Unit-e cryptocurrency development effort backed by seven universities, is targeting throughputs of 5,000 to 10,000 transactions per second. Along with addressing performance issues, however, banks can’t simply rely on blockchain service providers such as IBM, Google, Microsoft and SAP to run the infrastructure – the so-called rails over which payment transfers ride; in a sense, the financial services industry must “take ownership” of blockchain technology by committing internal resources to it. “For instance, IBM is not in the position to become a bank issuing stable coin. IBM doesn’t collect deposits from consumers or companies, so they don’t have deposits being used for stable coin. You have to have collateral,” Litan said. “They can have IBM manage it on their behalf, but they really have to own it, meaning they need to know how it works, they need to be able to run it if they have to, they have to be able to manage their demands. Banks must also commit back-office IT staff to oversee transaction networks because they do not run on their own and must be managed for risk, something already done with legacy payment and settlement networks. “So I don’t think there will be much more to managing this,” Litan said. Lastly, few banks today are participating in blockchain transaction validation – the consensus process where large numbers of participants endorse transactions versus a central authority. The larger the crowd endorsing the transactions, the greater the security because it will be nearly impossible for one or even many bad actors to usurp the consensus mechanism and take control of a network. IBM chose to use Stellar stable coin and cryptocurrency, which is known for the ease with which it can be used for international settlements. Stellar is considered robust for its ability to process many transactions in parallel. Previous: Previous post: What Can Your Company Do To Attract Top Cybersecurity Talent?